There is no rule book for creating, implementing and sustaining a successful social intervention. Hundreds, if not thousands, of now-defunct social programs attest to this reality. These programs may have succeeded in identifying a social need, a cogent and sometimes creative way of meeting that need, and some capacity (both financial and operational) to launch the effort. These are necessary elements -- but not sufficient ones. The social policy field does not consistently recognize or reward good ideas. Success is often as much a product of unusual circumstances -- confluence of the right time, the right idea and the right people -- as it is a result of inherent program quality and effectiveness. 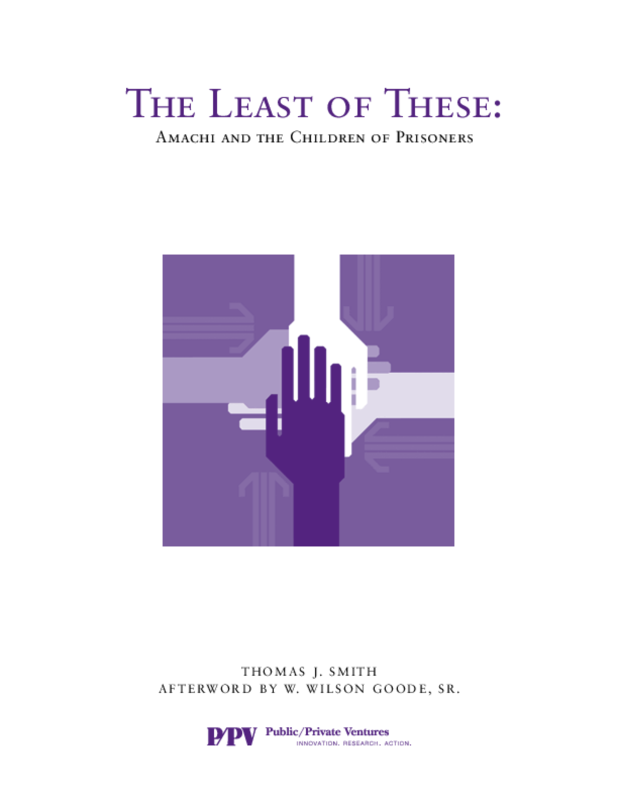 The Amachi program is a prime illustration of the unpredictable nature of success in the social policy arena. Its success resulted from a nearly unique blend of factors -- Public/Private Ventures (P/PV), which had been studying the issue of relationships as a way of helping young people for almost two decades; the Pew Charitable Trusts' interest in the potential of faith-based organizations to meet social needs; the well-known academic John DiIulio, who was looking for practical ways to put Pew's interest into action; a source of stabilizing program knowledge (Big Brothers Big Sisters of America); and finally a leader, W. Wilson Goode, Sr., whose combination of personal contacts, managerial knowledge and experience, and dedication to the idea of Amachi was decisive in making the program a success locally, and later nationally. Politics also played a role: the election of a president (in 2000) interested in faith-based initiatives; DiIulio's role in steering the president's attention to Amachi during its early days in Philadelphia; and the way that attention led to a sustained national focus (with federal program funding) on the target group Amachi was designed to serve: children of prisoners. The interplay of these factors -- along with good luck and good timing -- is in many ways the core of the Amachi story, which is detailed in the pages that follow. Over the past two decades, an innovative approach to workforce development known as sectoral employment has emerged, resulting in the creation of industry-specific training programs that prepare unemployed and underskilled workers for skilled positions and connect them with employers seeking to fill such vacancies. 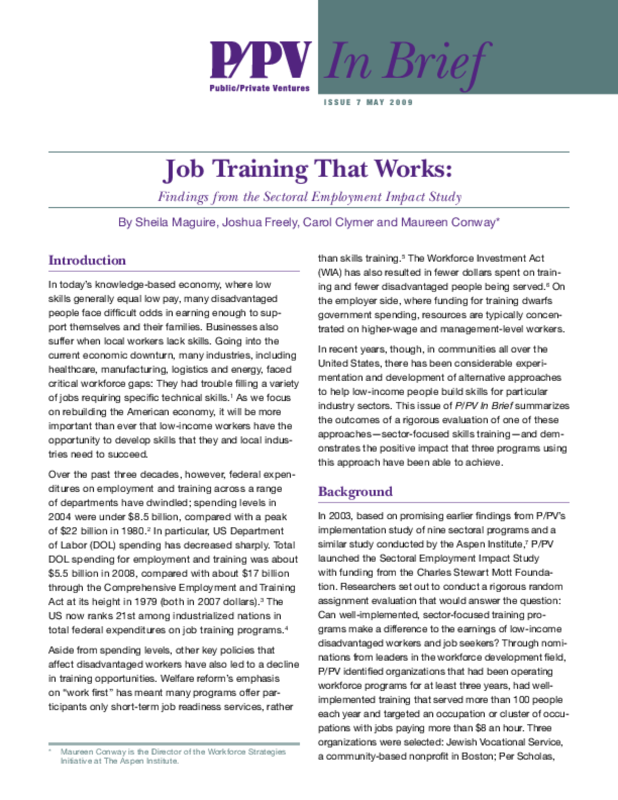 In 2003, with funding from the Charles Stewart Mott Foundation, P/PV launched the "Sectoral Employment Impact Study" to rigorously assess whether mature, nonprofit-led sector-focused programs could increase the earnings of disadvantaged workers and job seekers. P/PV selected three organizations to participate in the study -- a community-based organization focused on medical and basic office skills in Boston, a social venture focused on information technology in the Bronx, and an employer-union partnership focused on healthcare, manufacturing and construction in Milwaukee. The study's findings show that program participants earned about $4,500 -- 18 percent -- more than the control group over the course of the study and $4,000 -- 29 percent -- more in the second year alone. Study participants were also more likely to find employment, work more consistently, work in jobs that paid higher wages, and work in jobs that offered benefits. Furthermore, there were earnings gains for each subgroup analyzed, including African Americans, Latinos, immigrants, formerly incarcerated individuals and young adults. Tuning In to Local Labor Markets also examines the strategies employed by the three organizations that took part in the study, as well as the common elements that appeared to be critical to their success. Implications for practice, policy and future research are explored; a forthcoming piece will provide detailed recommendations for policymakers. This executive summary highlights the main findings and conclusions from "Tuning In to Local Labor Markets: Findings From the Sectoral Employment Impact Study" -- the first random assignment evaluation of sector-focused training efforts. We studied three nonprofit organizations -- a community-based organization focused on medical and basic office skills in Boston, a social venture focused on information technology in the Bronx, and an employer-union partnership focused on healthcare, manufacturing and construction in Milwaukee -- and found that participants in these programs worked more, had higher earnings and found better jobs (as measured by hourly wages and access to benefits) than members of the control group. 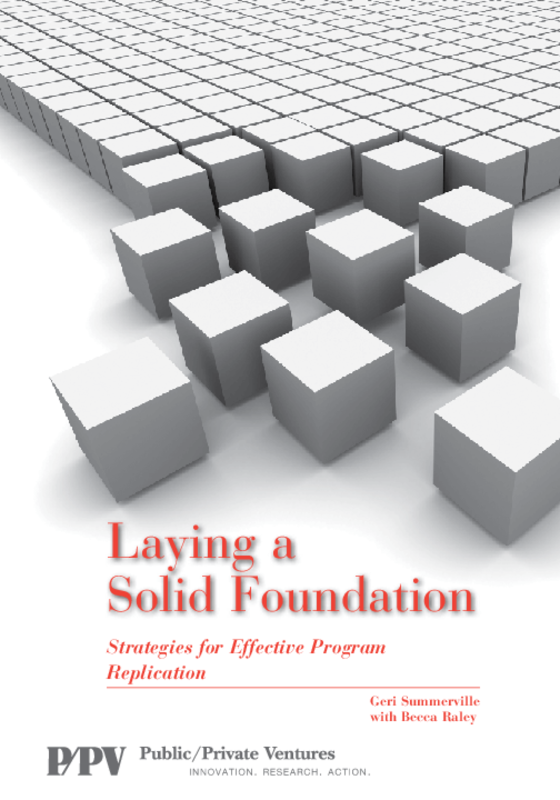 The executive summary examines strategies used by the three organizations in the study, describes the people served, and outlines common elements that likely contributed to the programs success. In 2001, P/PV was asked to oversee the statewide replication of the Nurse-Family Partnership in Pennsylvania -- one of the largest and most successful expansions of this well regarded home-visiting program, which has been found to produce substantial and enduring improvements in the health and well-being of low-income first-time parents and their children. Our experience in Pennsylvania has shown that the replication of evidence-based models can be an enormous challenge, even for highly defined and effective programs like Nurse-Family Partnership. Replication across many sites simultaneously, and by a common funder, is labor-intensive and comes with expectations of outcomes similar to those achieved in research trials. As a result, ensuring fidelity to the established program model, while allowing for local innovation, is paramount to success. 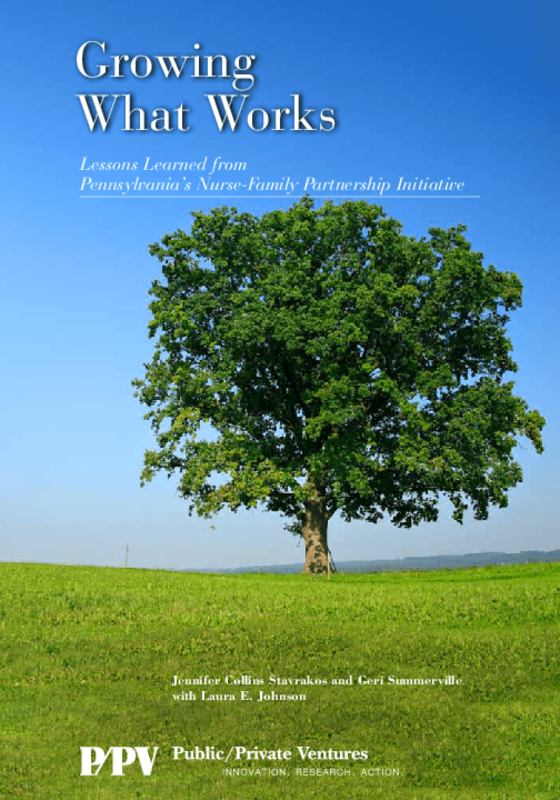 Using the Pennsylvania Nurse-Family Partnership experience as a case study, this report provides key lessons for policymakers and funders interested in bringing proven models to a statewide scale, including best practices for selecting implementing agencies; fostering a sense of community among geographically dispersed sites; monitoring program results to promote quality; and engaging local administrators and site leaders. With limited funds available for social investment, policymakers and philanthropists are naturally interested in supporting programs with the greatest chance of effectiveness and the ability to benefit the largest number of people. When a program rises to the fore with strong, proven results, it makes sense to ask whether that success can be reproduced in new settings. Program replication is premised on the understanding that many social problems are common across diverse communities -- and that it is far more cost-effective to systematically replicate an effective solution to these problems than to continually reinvent the wheel. When done well, replication of strong social programs has the potential to make a positive difference not just for individual participants, but indeed for entire communities, cities and the nation as a whole. Yet despite general agreement among policymakers and philanthropists about the value of replication, successful efforts to bring social programs to scale have been limited, and rarely is replication advanced through systematic public policy initiatives. More often, replication is the result of a particular social entrepreneur's tireless ambition, ability to raise funds and marketing savvy. The failure to spread social program successes more widely and methodically results from a lack of knowledge about the science and practice of replication and from the limited development of systems -- at local, state or federal levels -- to support replication. Fortunately, there seems to be growing awareness of the need to invest in such systems. For example, the 2009 Serve America Act included authorization for a new Social Innovation Fund that would "strengthen the infrastructure to identify, invest in, replicate and expand" proven initiatives. The Obama administration recently requested that Congress appropriate $50 million to this fund, with a focus on "find(ing) the most effective programs out there and then provid(ing) the capital needed to replicate their success in communities around the country." But more than financial capital is required to ensure that when a program is replicated, it will continue to achieve strong results. Over the past 15 years, Public/ Private Ventures (P/PV) has taken a deliberate approach to advancing the science and practice of program replication. Through our work with a wide range of funders and initiatives, including the well-regarded Nurse-Family Partnership, which has now spread to more than 350 communities nationwide, we have accumulated compelling evidence about specific strategies that can help ensure a successful replication. We have come to understand that programs approach replication at different stages in their development -- from fledgling individual efforts that have quickly blossomed and attracted a good deal of interest and support to more mature programs that have slowly expanded their reach and refined their approach over many years. There are rarer cases in which programs have rigorous research in hand proving their effectiveness, multiple sites in successful operation and willing funders prepared to support large-scale replication. Regardless of where a promising program may be in its development, our experience points to a number of important lessons and insights about the replication process, which can inform hard decisions about whether, when and how to expand a program's reach and total impact. In the interest of expanding programs that work, funders sometimes neglect the structures and processes that must be in place to support successful replication. These structures should be seen as the "connective tissue" between a program that seeks to expand and the provision of funding for that program's broad replication. This report represents a synthesis of P/PV's 30 years of designing, testing and replicating a variety of social programs and explains the key structures that should be in place before wide-scale replication is considered. 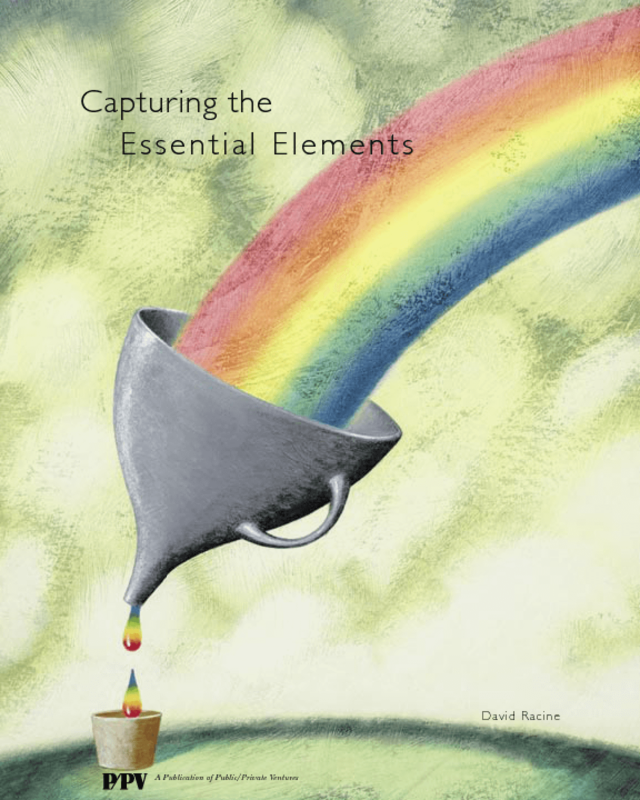 It is designed to serve as a guide for policymakers, practitioners and philanthropists interested in a systematic approach to successful replication. Public funding for employment and training has dwindled over the past several decades. Yet in communities all over the United States, there has been considerable development of alternative approaches to help low-income people gain skills for particular industry sectors. 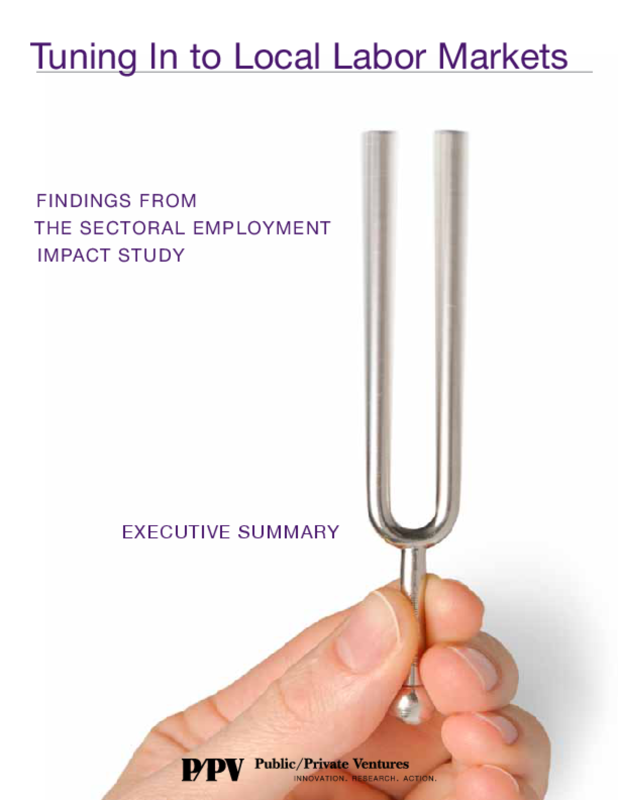 In 2003, with support from the Charles Stewart Mott Foundation, P/PV launched the Sectoral Employment Impact Study to test the efficacy of one such approach. Using a random-assignment design, P/PV researchers set out to answer the question: Can well-implemented, sector-focused training programs make a difference to the earnings of low-income disadvantaged workers and job seekers? Three organizations were selected to participate in the study: Jewish Vocational Service in Boston, Per Scholas in the Bronx and the Wisconsin Regional Training Partnership in Milwaukee. This issue of P/PV In Brief summarizes impacts found for participants across the three sites, including increases in earnings and employment; a more detailed report on the study will be released in late 2009. This report draws lessons from the reorientation of the Communities Organizing Resources to Advance Learning (CORAL) initiative. CORAL is a $58 million initiative aimed at improving education achievement in low-performing schools in five California cities. 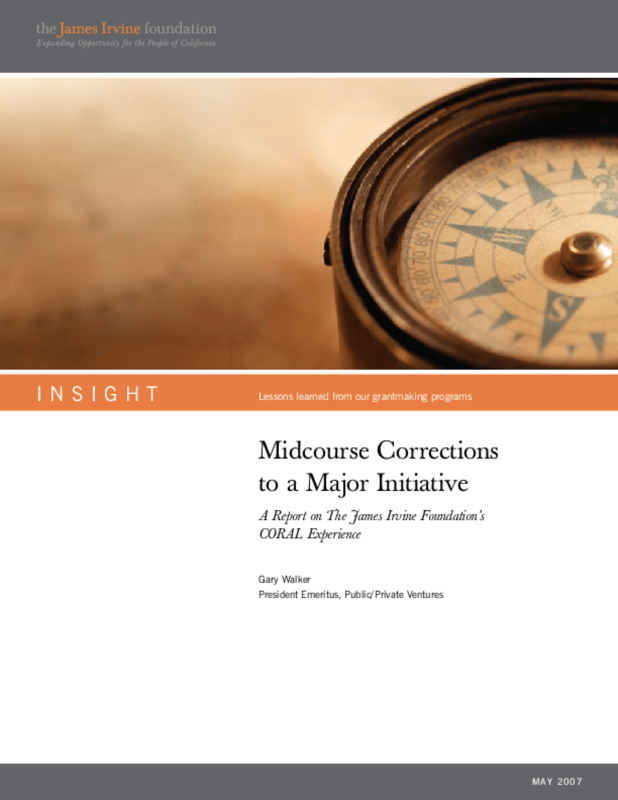 The report outlines the inherent challenges to making midcourse corrections to major initiatives. It also reveals lessons that foundations and nonprofits can learn from the CORAL experience, including the importance of midcourse reviews for multiyear initiatives and the value of setting clear and measurable interim outcomes.